When love is in the air, you cannot see it, but you can feel it. With this unique piece of jewelry by Apples of Gold, you can see the love. 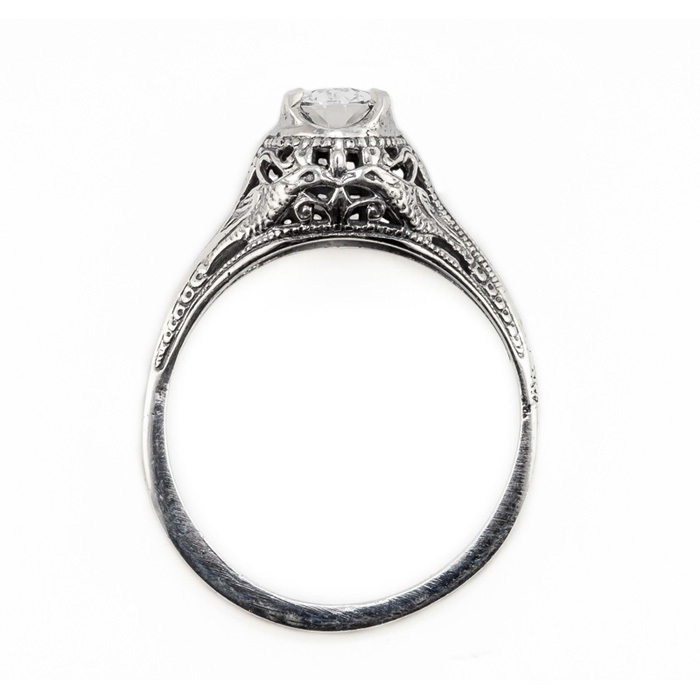 If you are giving this as a gift, the recipient will surely be able to feel your love for them, as well as see it every time they look down at this beautiful vintage style ring on their hand. The oval cut white topaz gemstone assists in crafting the perfect recipe for romance with the added touch of sterling silver. 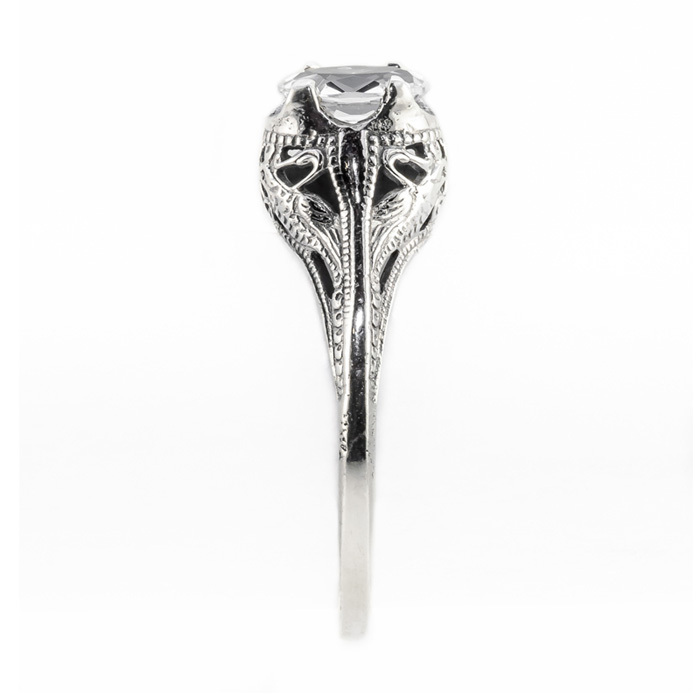 Add a hearty helping of your unique love and the swan design measuring 7mm x 5mm and you have the most romantic engagement ring of all time. 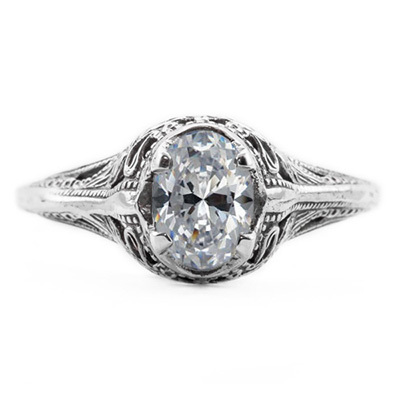 We guarantee our Swan Design Vintage Style Oval Cut White Topaz Ring in Sterling Silver to be high quality, authentic jewelry, as described above.